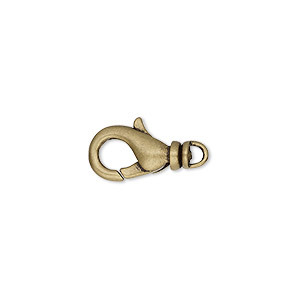 Clasp, lobster claw, gold-plated brass, 12x7mm with swivel. Sold per pkg of 100. Item Number: H20-5545FY Have a question about this item? 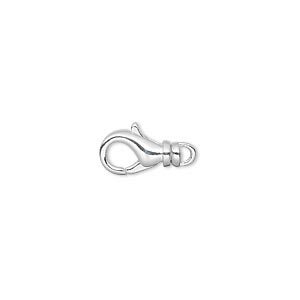 Let your designs move at their own will with swivel-based lobster clasps. The swivel allows the design to twist 360 degrees while the clasp stays in place. 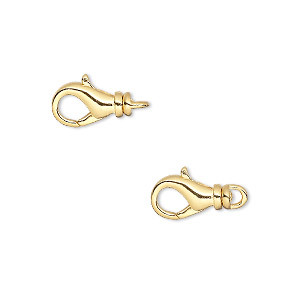 Made of durable brass, the clasps have a consistently shiny gold-plating. 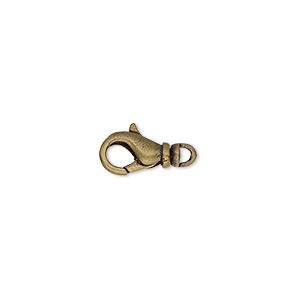 Clasp, lobster claw, gold-plated brass, 12x7mm with swivel. Sold per pkg of 10. 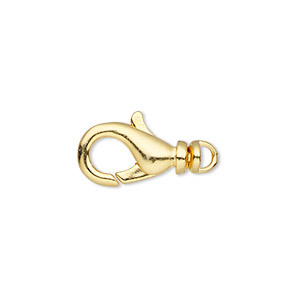 Clasp, lobster claw, gold-plated brass, 12x7mm with swivel. Sold per pkg of 500.